Even closer to our villa is Sea Mountain Highway, which features a great oceanfront restaurant Murphy's on the Ocean as well as a Boulineau's grocery store for all your essentials. Local favorite's Basil's Pizza and Duffy Street Seafood Shack are also located along this stretch in addition to a few other restaurants. So, what are you waiting for? Your beach paradise awaits! Wake up to the sound of the waves rolling in and in a location that can't be beat! Quiet and peaceful, yet right in the heart of all the shopping, dining, and attractions that North Myrtle Beach and Myrtle Beach have to offer. Our villa is well appointed with a fully stocked kitchen, large living area that opens onto our balcony, ocean views, and a relaxed coastal vibe throughout! With 3 bedrooms and 3 full baths, you'll have a great space for entertaining while being able to also enjoy privacy and relaxation. Located in the world famous Cherry Grove section of North Myrtle Beach, Ocean Pointe offers a relaxed getaway where you wake up to a morning coffee on the balcony or pop into town for an evening out, Ocean Pointe is situated perfectly to have the best of both. With popular Main Street only 5 minutes away, you can take the kids out to enjoy arcades, ice cream, and amusement rides or the adults out for a night of live beach music, dinner, and dancing. 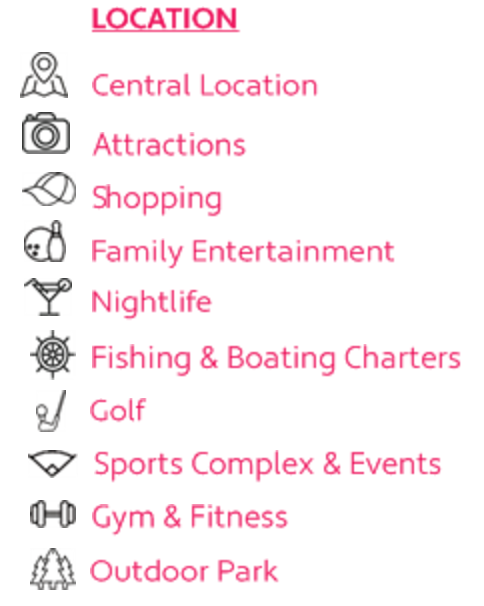 The family friendly area hosts a number of restaurants, boutique shops, and specialty stores as well as a few bars and beach clubs including Ducks on Main Street, Pirate's Cove, Sky Bar, and Fat Harold's Beach Club.